Gifts ordered! And now we wait. Motion for next year's submissions to include "Your PREFERENCE FOR 100% STUPID GIFTS"
this is probably one of the years where i've had a bit more trouble thinking up a really good gift. Like, i'm going to get some items off the wishlist, but i haven't settled on what The Thing is. What's something more and something extra. Yeah I'm having a ton of trouble thinking of something. I usually at least have an idea or an inspiration by now if not a final plan, and this year, nothing. Maybe I'll just do a keyword search on amazon and let one of my kids point to some stuff. But I mean, if people are worried about anonymity because of the chains @Brolo @lonelyahava and I can always just keep on our end. They are traditional though. but that's all that I have on my wishlist this year! I feel horrible because I am horrible of getting ‘surprise’ gifts. My entire family gives me a list of what they want, and I get it for them. And that’s for people I have know for decades. For some reason I only just realized- including the preference would allow for people to say no. I was going for YES PLEASE, so I apologize if implied the opposite. My sister and I do that for each other literally every year. It's totally fine. I would appreciate art of any kind, but would def prefer it be physical. If all goes well my target will receive something homemade. Ideas are coming together. Now I just have to figure out the timing for shipping. It's probably because the US is so much bigger but I'm always disappointed in Amazon US' shipping times. Here we have next day delivery with prime and two day delivery without prime if things are in stock. The US side only has 2day with prime and like a week without. Oh no, I've been damned! Uh, err... I mean my Satan has sent me a gift! 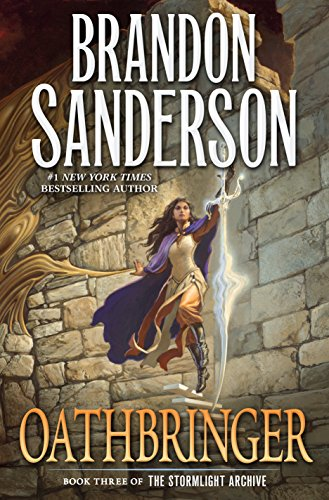 The third book in The Stormlight Archive by Brandon Sanderson! It's been so long since I read the other two I might have to read them again first so... it might be a while. However I am so grateful all the same! Thank you mine satanic master! Art is welcome with a definite preference towards physical artwork. FedEx blew a hole in my shipping estimates in the financial sense (because Hawaii) so I have to reevaluate my options. For shipping within the states I usually go for flat rate boxes because of the cost, but I want to nail the timing on this because food. Why did I forget that you guys are always on top of this Satan-ing thing? I forgot I didn't do an "About me" post and people have already ordered, shipped, AND received. Le sigh. One of these days I'll get this. It's only been, what, a decade or so? You people are awesome, by the by. I went to check the mailbox, and there was a box on my doorstep. Huh, the gifts I ordered aren't supposed to be here until Tuesday, but okay. NOPE YOU IDIOT THIS IS ACTUALLY FOR YOU. 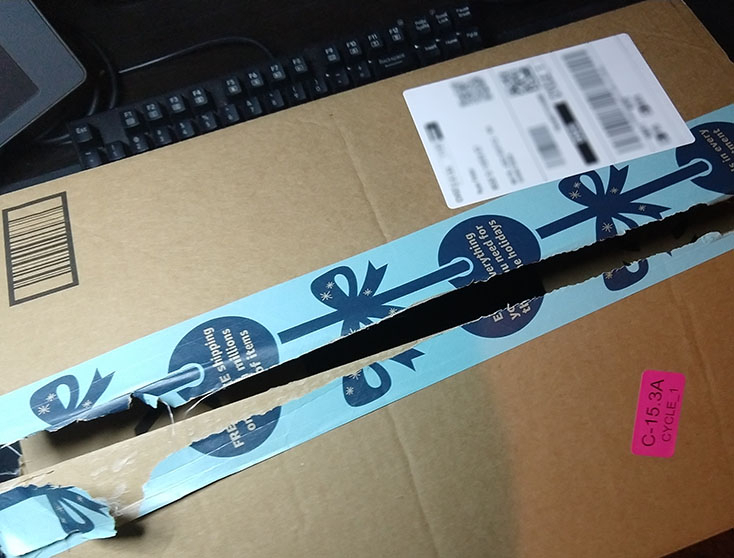 In my haste, as well as I had just poured my second cup of coffee, I tore the box open without thinking about it. 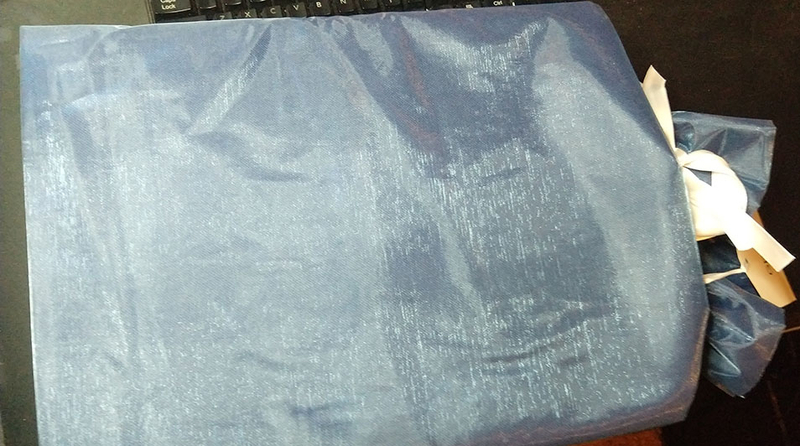 Then I was confronted by a note, which not only revealed the identity of the person actually ordered this, but also provided a clue as to what may be inside. Inside the box is a bag! This bag seems to contain another box inside. Diabolical! IT IS WHAT I THOUGHT IT WAS GOING TO BE. 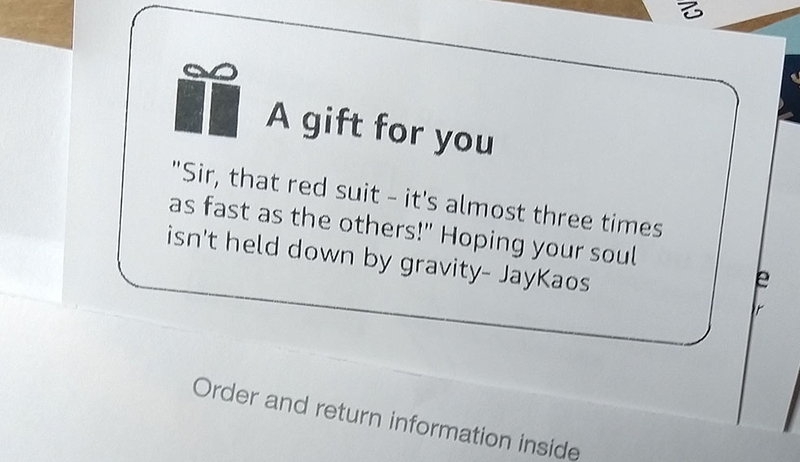 Holy shiiiiiiiit @JayKaos thank you so much! I am very eager, and also more than a little nervous, to get started on this kit! 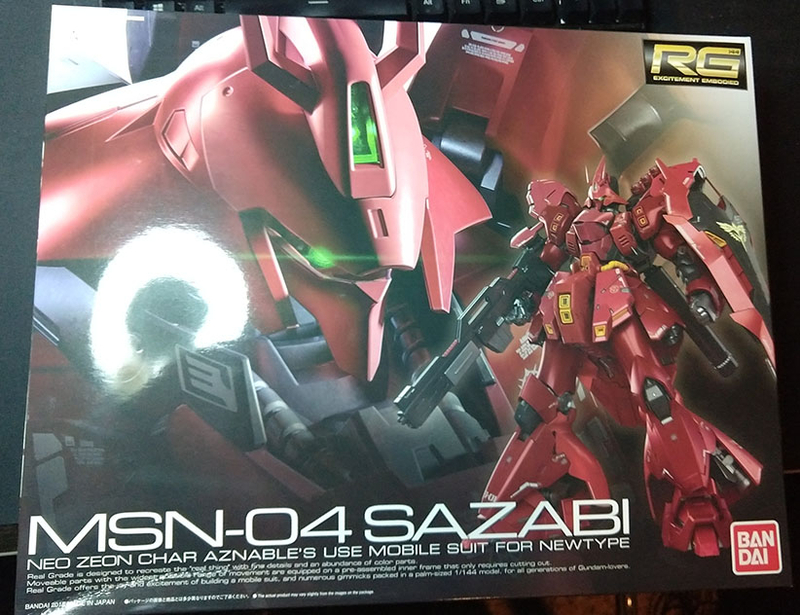 This will be my very first RG, and I will be treating it with all the respect and fear it deserves. I forgot to mention, as of last year I am a huge VGK fan. It's the only sports team I really care about. I bought a sweat shirt today and I just realized that maybe I should mention the love I hold for my new home team. Ah good I was afraid the note was too subtle. It may have arrived on Saturday? I'm super glad it was still there and sheltered from the rain if so. Official, if late notice to my Satan, whomstever they may be: This is fine. I was panicking a little, thinking time was working against me getting stuff sorted for my satanee before I leave. But I did! And it's off and away! Ha HA! Up yours, time! Accidentally resubscribed to Amazon Prime (thinking my last years subscription had ended), only to find out I was on the wrong country site. Man, do they make you feel guilty for canceling your membership. Now Jeff Bezos can only buy 7 Islands! I remember one year I sent, as part of the greater package, a toy reindeer that pooped little candies, so I figure I have it coming, at some point. What could 2 of 5 possibly mean!? I'm pretty sure that I re-gifted it to a coworker for their kid and it was very much enjoyed.